There is a rapid local rise of the Earth’s crust in the Fennoscandian shield. Shear- and fault zones are formed when the crust becomes brittle and breaks up. They show up now in south-west Finland as the deep bays, Halikonlahti and Mynälahti, as Kihti in the Finnish archipelago and as some of the lake basins in Finland. After mountain formation, the crust was very thick but light, and had tendency to rice, when mountains were eroding. Therefore, Southern Finland experienced 1800–1760 million years ago a rapid rising of the crust, a so-called post-collisional uplift. As rocks rose, they cooled down and became fragile. Tensions were relaxed by movements in fault zones. 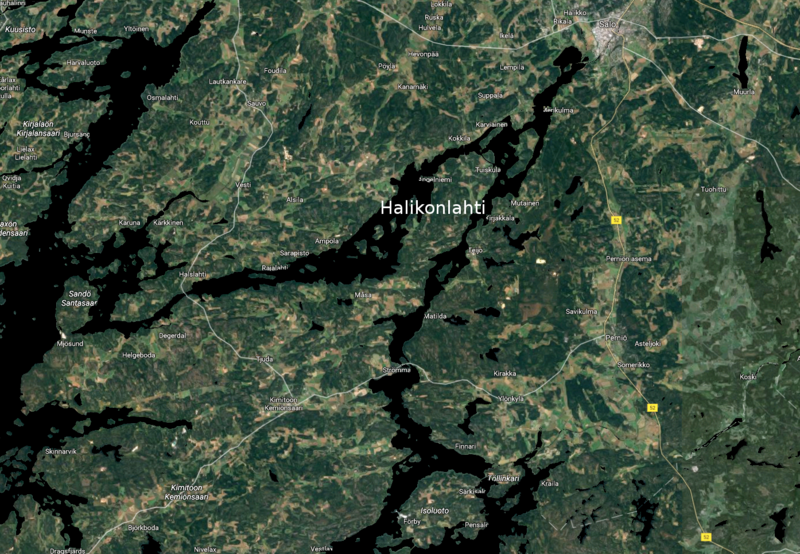 These fault zones show up now in south-west Finland as the deep bays, Halikonlahti and Mynälahti, as Kihti in the Finnish archipelago and as some of the lake basins in Finland. Many fault zones are in fact older, but activated 1.8 billion years ago. Many of these faults are still weakest parts of our bedrock and need to be taken account in rock engineering. The gaps in the fragile rock also offered magma routes towards the surface. The magma had various origins; some were from the Earth’s crust, while others were from mantle. Rocks of this age, such as magnetite containing pegmatites and carbonatites, formed from calcite crystallized in the magma, can be found in the archipelago of south-western Finland. Near Naanatali’s ’Ukko-Pekka’-bridge there is a vein of carbonatite. Carbonate containing fluids have coloured the rock of Naantali’s Kuparivuori red.